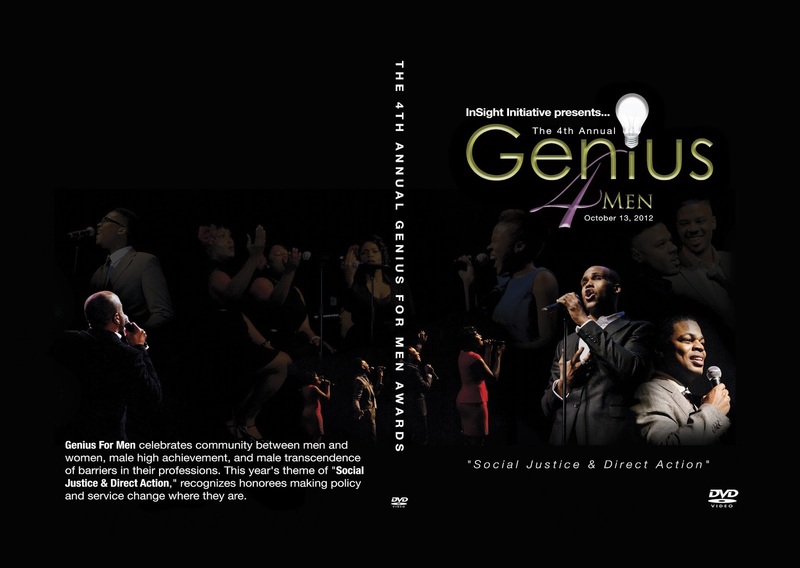 InSight Initiative, Inc. » Order the 2012 Genius for Men DVD NOW!!!! 2012 Genius For Men Trailer from Gene Setzer on Vimeo. Washington, DC (August 2, 2013) – GENIUS FOR MEN brought honor and innovation to Southeast Washington, DC on October 13, 2012 at THEARCDC.org 1901 Mississippi Ave, Washington, DC, at 2 p.m., through a men’s empowerment forum that encourages community between men and women, celebrates male achievement, and honors men who seek to transcend the limits within their professions. 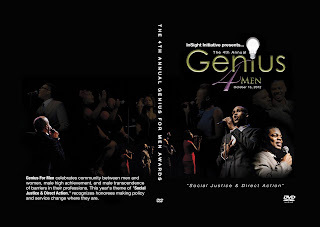 In essence, “Genius for Men is an event that creates thoughtful community between high achieving men and women …” GENIUS FOR MEN is hosted by Executive Producers, Alisha Jones and Angela Jones. They are two sisters who have experienced first hand the positive impact men have on personal development. These sisters attest that men are more than their physical attributes — they are thoughtful and responsive members in community as well. The 2012 theme is “Social Justice and Direct Action”. During Genius for Men honorees will receive tributes from DC area emerging artists that illustrate their impact. The honorees are such notables as Boys and Girls Club of Greater DC, Educator and Arts Activist Lamman Rucker of Black Gents of Hollywood, Maestro Darin Atwater of Soulful Symphony, Impact Your World, Activist and Journalist Jeff Johnson, Rev. Otis Moss III, of Trinity United Church of Christ in Chicago, IL, Byron Nichols of BNFit Personal Fitness, and Designers Bruce and Glen Proctor of BruceGlen. Past recipients include neuro-surgeon, Dr. Ben Carson, Jazz Critic A. B. Spellman, Musician Richard Smallwood, Alfred Edmond of Black Enterprise, Michael Grant of the National Bankers Association, composer Rev. Nolan Williams, Congressman John Lewis, Gerard Bonner of BonnerfideRadio.com, Edgar Brookins of the Afro-American Newspaper, Darnell Lee of W & T Travel Services, Photographer Bill Lee, Mo’Nique Show’s Daniel Moore of BET, Rev. Tony Lee, Pastor of Community of Hope A.M.E. and radio personality of WPGC FM, Community Organizer Delyon Gigger of Good Ground Good Life, Michael Melton and Marvin Dickerson, D.C. Chapter and national representative from 100 Black Men, Cameron E. Miles of Mentoring Male Teens in the Hood, Elder Jimmy Grant, William Keyes of Institute for Responsible Citizenship, Brandon Camphor & One Way and Anthony ‘Tony’ Walker who is music director for artists such as Ledisi. « Move And Shake Retreat Information at MoveAndShake.Info.